What’s important to every business owner? While there are certainly a long list of things, at the top of every business owners’ priorities is the health of their employees. Besides from encouraging work health and safety procedures, this is mostly out of their control. However, luckily, there is an easy step you can take to improve the health of your workplace: office plants. To explain why office plants are great for your business, we’ve created a blog outlining the top benefits. Many Australians spent most of their time in office buildings. Yet cubicles in offices typically consist of partitions made of particle board and vinyl carpet, synthetic flooring, a particle board desk and plastic or synthetic office chair. While some are lucky enough to receive natural light and a window, poor ventilation, common in office buildings, spreads germs. An easy way to reduce your employees’ sick days is to fill your office with plants. 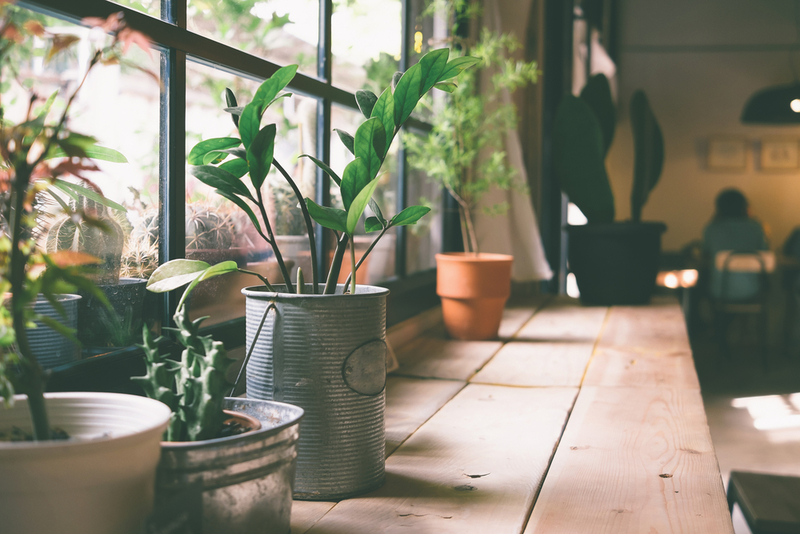 In fact, a recent NASA clean air study found that many common indoor plants are very effective at removing multiple kinds of organic compounds from the air. You want to find plants that will rid the air of pathogens, improve the office’s mix of bacteria, and survive in low light with little maintenance. Look for species with large leaves as the more leaf surface area, the more efficient it is. At Alpha Environmental, we care about keeping the environment of your office in check. We are specialists in environmental and occupational hygiene solutions relating to: site assessment, refurbishment or demolition, professional advice, asbestos, groundwater, soil and mould. And with over 19 years experience, you can trust us to get the job done on time and in budget. To learn more, or to request a quote – please call us on 1300 039 181.